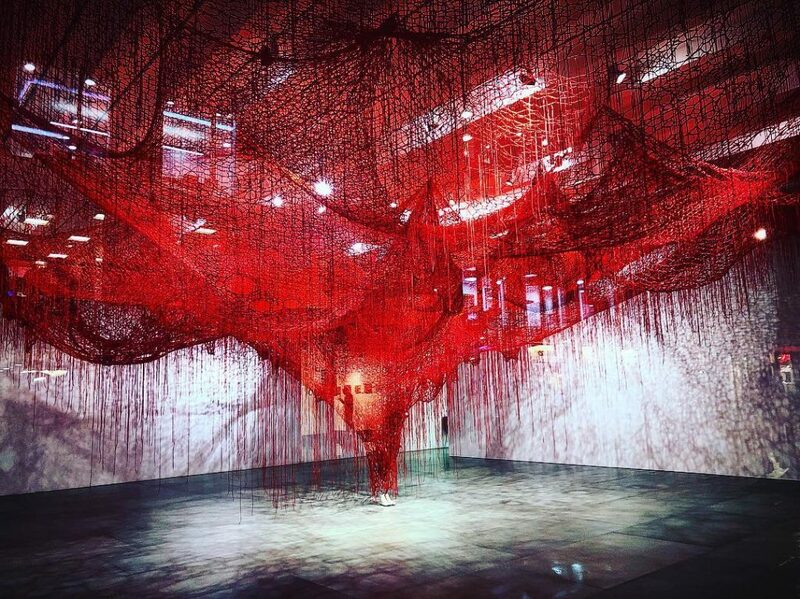 Chiharu Shiota’s breathtaking work is set to fill up your feed. If you’ve already checked out the Yayoi Kusama exhibit, then we have your next cultural fix all lined up. 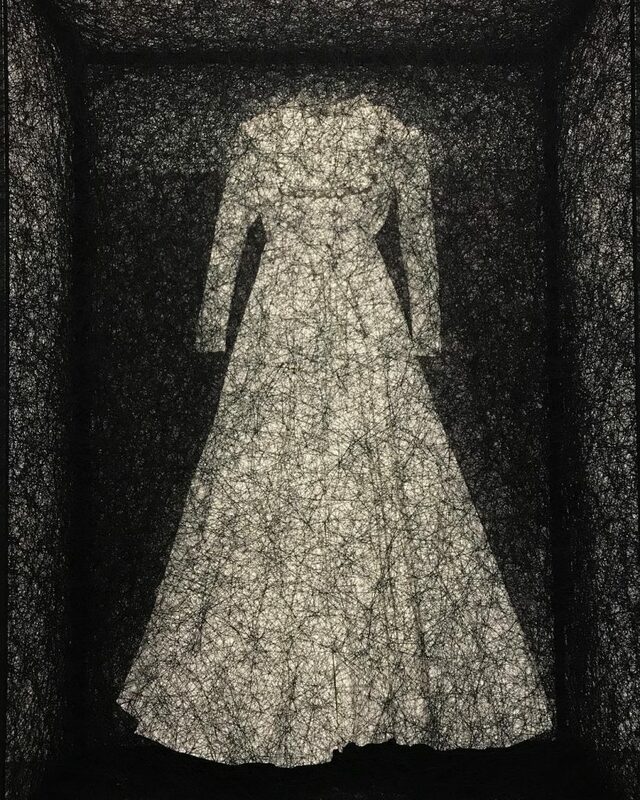 Acclaimed Japanese artist Chiharu Shiota has installed Me Somewhere Else at Blaine Southern in Mayfair, and it’s absolutely mesmerising. 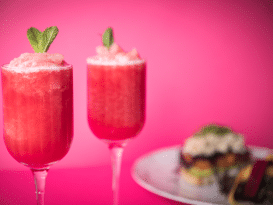 Feast your eyes on these gorgeous ‘grams! 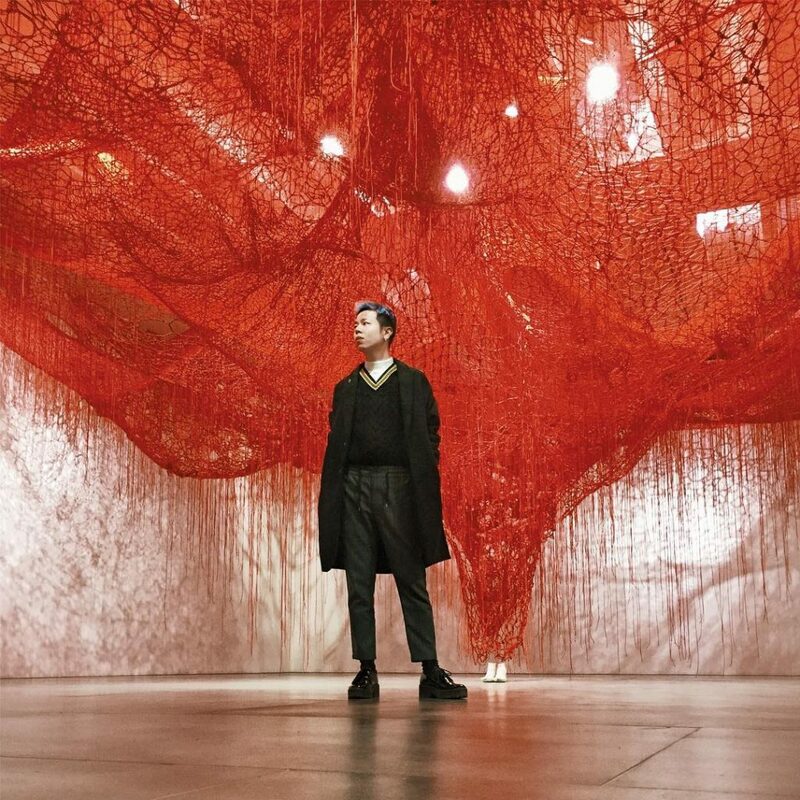 Composed of knotted strands of blood red yarn, the installation is suspended from the ceiling, and funnels down into a pair of Shiota’s shoes. 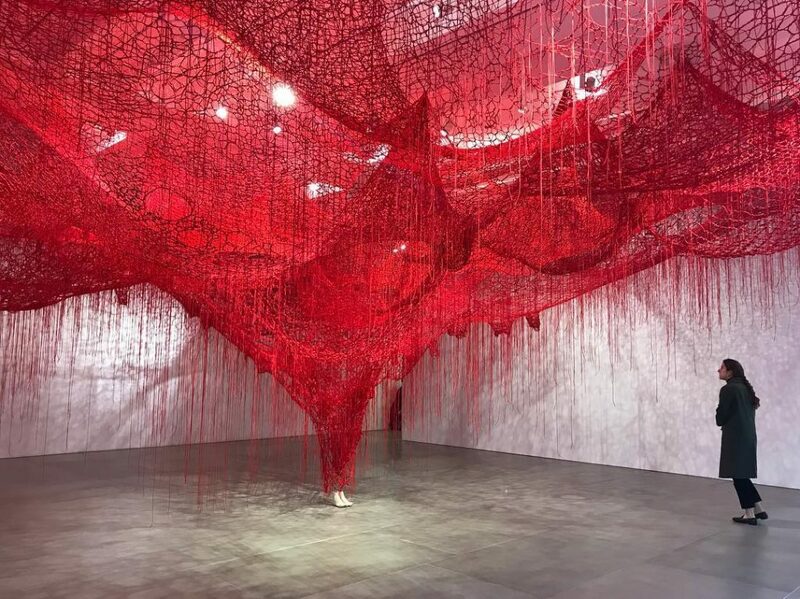 It looks like a giant network of blood vessels, and unsurprisingly has inspired a lot of striking profile pictures. 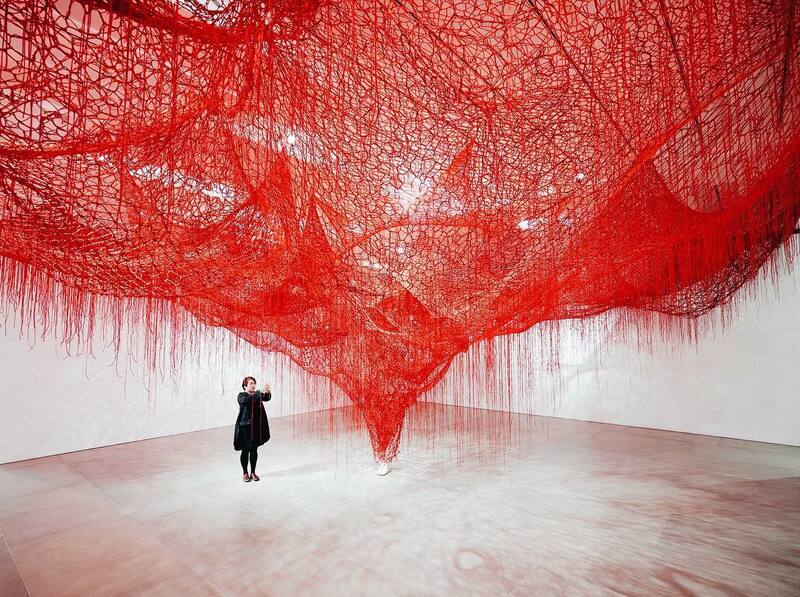 Shiota’s aim is to explore human consciousness, visually representing the neurons spilling out of the body. As she puts it, “Where do I go when my body is gone? When my feet do not touch the ground anymore.” Weighty stuff, but it’s a pretty way to address such questions. Aside from the titular installation, you’ll also find curiosities like this wonderfully witchy wedding dress, encased in black mesh. 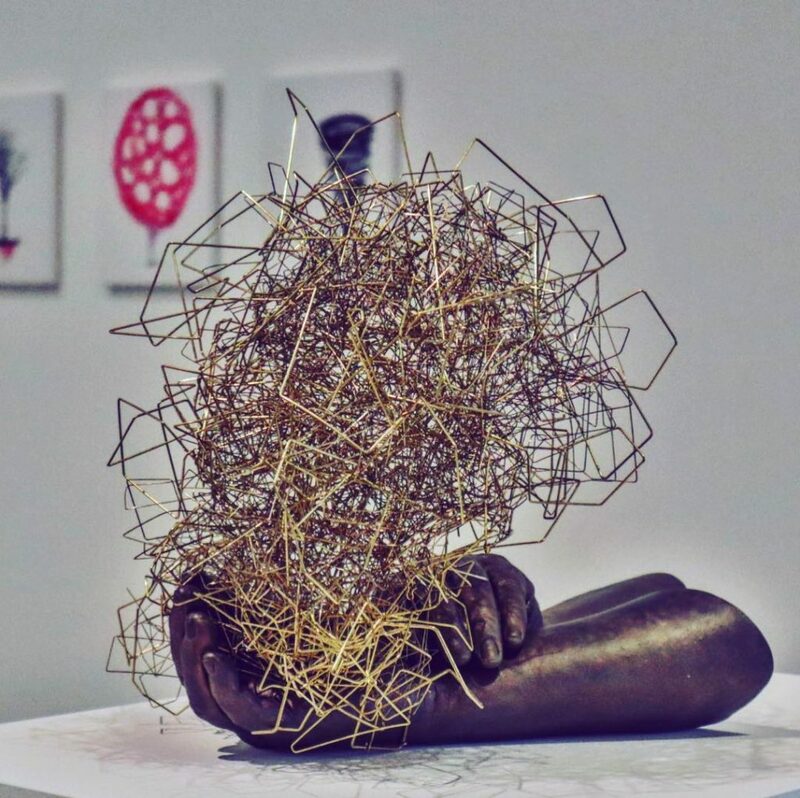 Other works include sculptures and canvas works, if you can tear your eyes off the yarn. Me Somewhere Else is at Blaine Southern until January 19th, and best of all, it’s entirely free to attend. 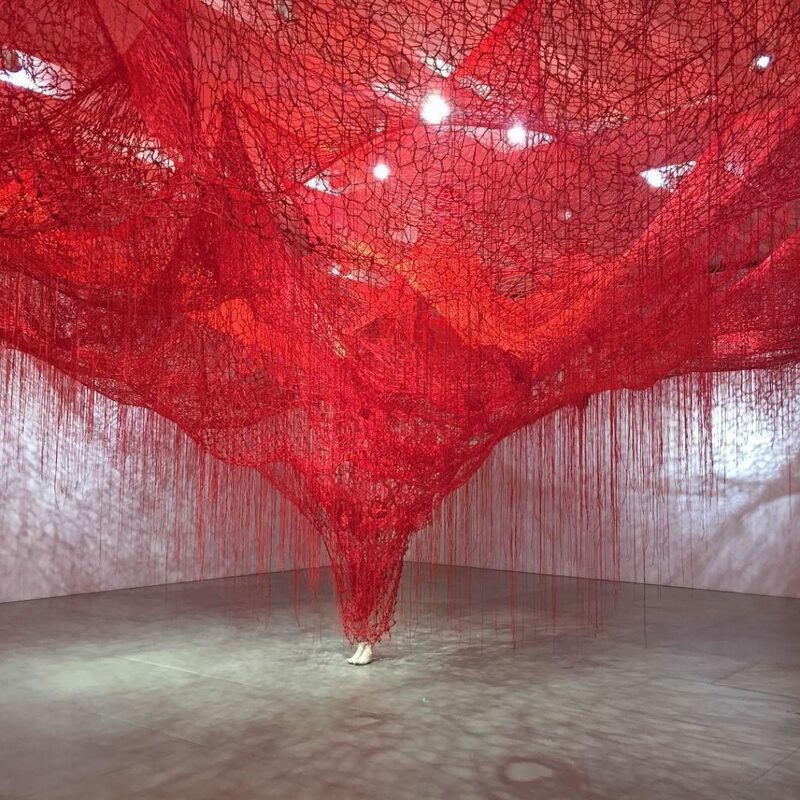 Whether you’re a Chiharu Shiota fan, or just here for the pictures, it’s well worth paying a visit. 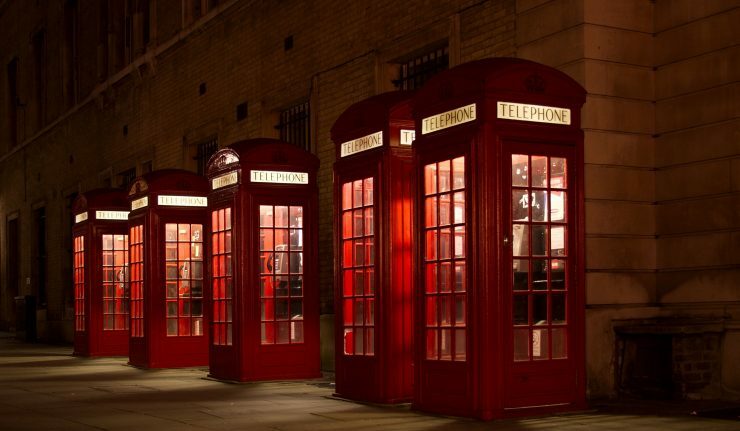 Find it 4 Hanover Square, Mayfair, W1S 1BP – just a stone’s throw from Oxford Circus station. More information is available here.